Please see results below and attached. 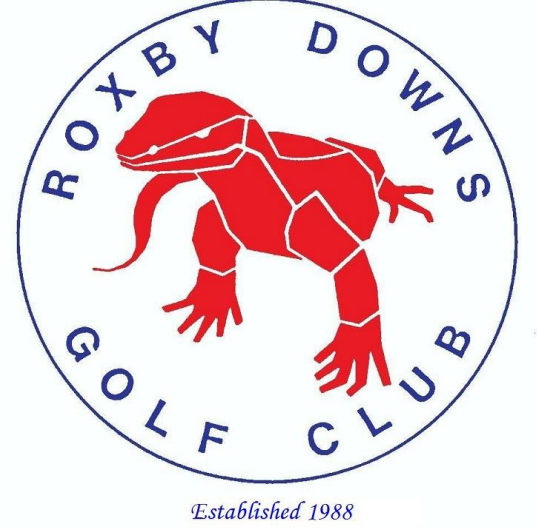 Well done Russell Brind and Don Barwick on winning the Men’s Foursome championship and Stacey Dadleh and Bec Nichols on winning the Ladies Foursome Championship. 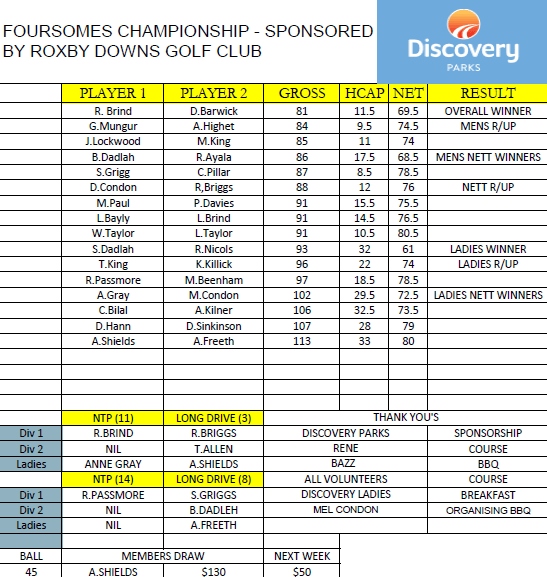 Fantastic numbers for a foursomes event. Thanks to Don and Julie Barwick and the Discovery Parks team for their support and sponsorship.